In my career as a pain specialist, I am consistently impressed by the strength and courage of my patients in their battle with pain. Over 100 million Americans suffer from chronic pain, a number greater than those who are affected by cancer, heart disease, and diabetes COMBINED. Pain has become a national epidemic, and yet society continues to hold misguided assumptions about the nature of chronic pain, how to discuss it, and ultimately how to treat it. 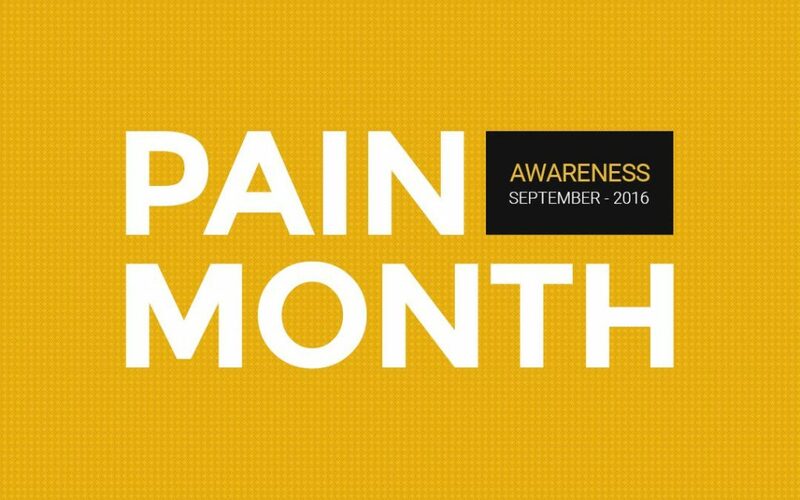 This month has been designated as Pain Awareness Month and is an incredible opportunity to explore the world of pain prevention and treatment, and how you can apply both preventive and therapeutic strategies to your own life to avoid becoming part of the epidemic. My role as a pain specialist centers on educating you about methods of easing pain and suffering so that you can re-engage in life and enjoy those things in life that make it worth living. Every year, new advancements in technology offer patients ways of reducing their pain. My blogs contain cutting edge treatments and steps you can take to reduce pain, so please carve out just a little time to read them. My award winning, national radio show Aches and Gains, provides insight into overcoming pain by featuring real stories of people who have found relief by using traditional and integrative approaches. I’m privileged to have become a major resource in this country for those in need of pain awareness, education, and hope. I want to thank my readers, listeners, and patients for their continued support and enthusiasm. Please let everybody know that there is hope for moving beyond their pain. Although chronic pain remains undiagnosed, undertreated, and untreated, there are physicians like myself who are working hard to remove the barriers to proper assessment and management. We also want those in pain to speak up and let their needs be known so that public policy will shift in favor of effective pain care. I will continue to fight with you, and for you in the battle against this debilitating condition. Let’s make a commitment this September to reach out to those in chronic pain as friend or family member. I look forward to sharing inspiring stories of those who have overcome their pain to lead fulfilling lives. Remember, no one is immune to pain, but anyone can overcome it.